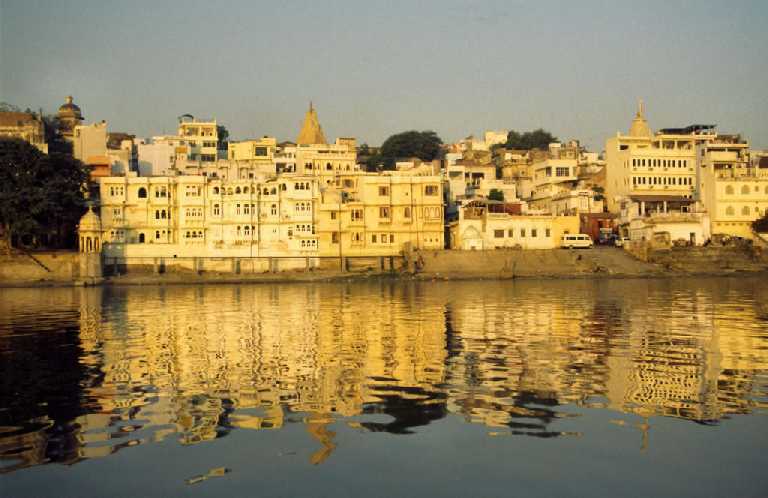 Experience Mewar from the close quarters. Mewar has established itself as the symbol of valour and bravery. In this package we make an effort to acquaint you with the flamboyant and rich cultures of Rajasthan. Day 1: Arrival at Udaipur: Arrival at Jaipur Airport / Railway Station / Bus Station and check-in, in Hotel. Rest of the day at leisure. Evening visit to Nahargarh Fort. Can have dinner at Dug Café (optional). Night stay at Hotel Teej, Jaipur. Day 2: Jaipur: After Break fast drive to sight seeing of Amber fort, have elephant ride from the foot hill to the tope of the hill (optional). On the way visit Hawa Mahal, Jal Mahal. After Lunch visit to City Palace Museum and Observatory. Evening free for Shopping. Night Stay at Hotel Teej, Jaipur. Day 3:- Jaipur – Ajmer – Pushkar: After Break fast drive to Pushkar, enroute visiting the Dargah of Khawja Saheb and Adhai Din ka Jhonpra at Ajmer and arrive Pushkar by after noon. Check in at Hotel and rest. In evening visit the Bhrama temple and Holy lake- Sarovar. Night Stay at Hotel Sarovar, Pushkar. Day 4:- Pushkar – Jaisalmer: After Break fast drive to Jaisalmer. On the way halt at Motel Barr for lunch. Arrive Jaisalmer by late afternoon. 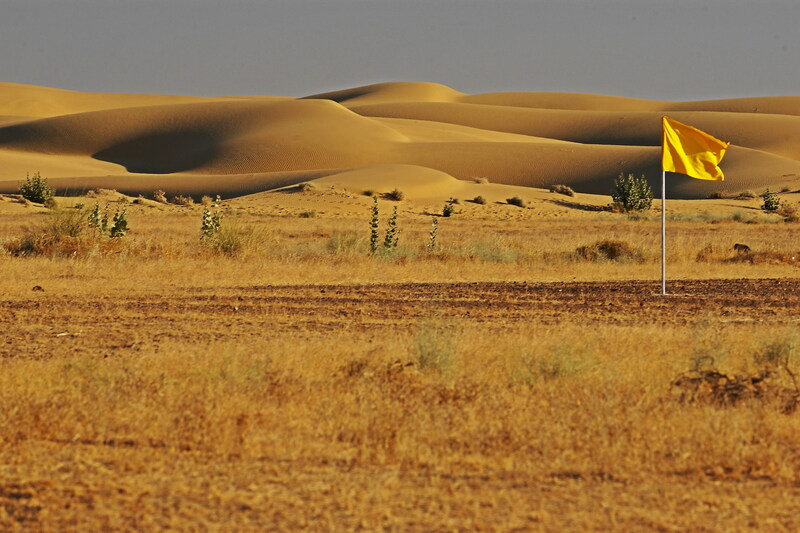 Check in at Hotel Moomal, Jaisalmer and Night stay. Day 5: – Jaisalmer: After Break fast drive to sightseeing of Fort, Jain Temples, Havelis and Gadhisar lake. In afternoon visit to Lodurva Jain temples and drive to Sam sand dunes to have camel ride(optional) at sunset point. Night Stay at Hotel Moomal, Jaisalmer. Day 6: – Jaisalmer – Jodhpur: After breakfast drive to Jodhpur en-route visiting the temples of Osian. Arrive at Jodhpur in after noon. Visit Mehran garh fort, Jaswant Thada and Mandore Garden and check-in, in Hotel Ghoomar, Jodhpur and Night Stay. Day 7:- Jodhpur – Udaipur: After Break fast drive to Udaipur. Enroute halt at Ranakpur Hotel Shilpi for lunch and a visit to the Jain Temple. Arrival at Udaipur. Check-in at Hotel Kajri, Udaipur for Night Stay. 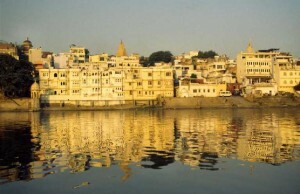 Day 8: – Udaipur: After Break fast drive to the City Palace, Jagdish Temple Maharana Pratap Smarak and Fateh Sagar Lake. Return to the hotel for lunch. After lunch visit to Sahelion Ki Bari and Lok Kala Mandal and excursion to Haldighati, Nathdwara and Eklingji. Return to Hotel Kajri for Night Stay. Day 9: Udaipur: After break fast departure transfer to Airport / Railway Station / Bus Station Tour ends or have a choice to come back to Jaipur and Tour ends. Private chauffeur driven vehicle, driver’s charges, fuel cost, Toll/Parking, Inter state Tax and service Tax. Deepawali period at Mt. Abu and Swaimadhopur (25th Oct. to 2nd Nov.2011). X-Mas/New Year: 24 Dec. till 31 Dec. 11 (08 Nights) at Jaisalmer, Sawai Madhopur, Sariska, Siliserh and Bharatpur. 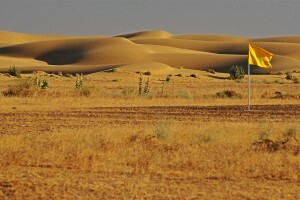 Desert Festival, Jaisalmer: 5th Feb. to 7th Feb. 2012. There will be supplement cost for these places during this period & cost to be advised on query. If you have not decided yet or wants to customize tour itinerary or hotels listed above in "8 Nights Rajasthan Desert Tour Package from Rajasthan Tourism Rs.28500/-", then we can change the travel itinerary and make a personalized, tailor-made holiday package, especially for you. We can modify this travel package as per your itinerary, budget, duration and the tourist places you would like to visit, including transportation and airfare should be included or not. Please fill the form below to contact us.